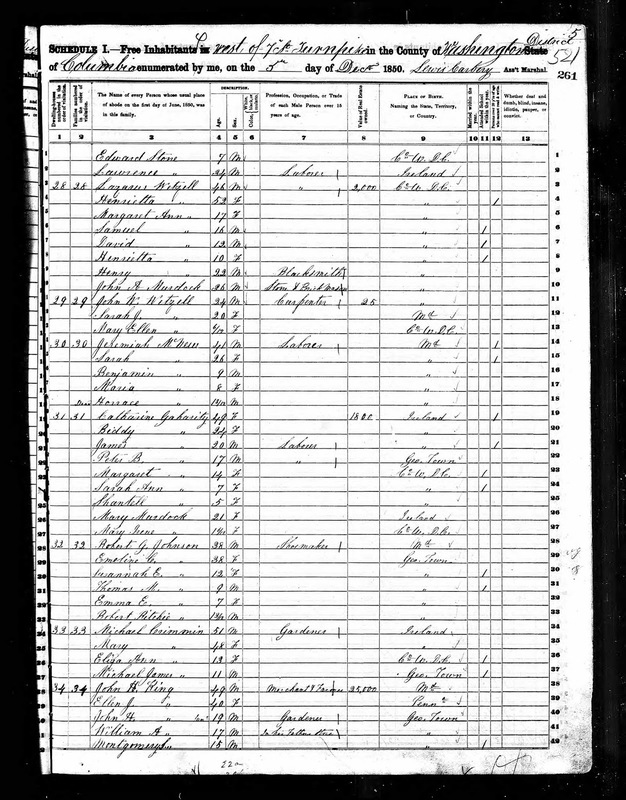 1850 United States Federal Census, Washington, District of Columbia, Page 261A, Dwelling #30, Family #30, Jeremiah McNew household; online database, Ancestry.com (http://www.ancestry.com), citing National Archives Microfilm Publication M432, Roll 57. Jeremiah McKnew (1804-????) married Frances Alethia Pickrell (1810-1845) in 1829, and they had at least six children, including Benjamin and Maria in this census record. After Allethia (Pickrell) McKnew died in 1845, Jeremiah married Sarah --?-- (1823-????) before 1848, and had a son, Horace (1848-1850). 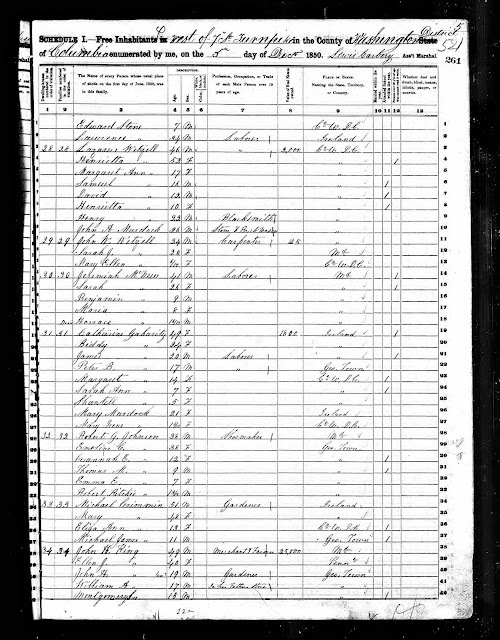 The notation on the census image indicates that Horace died between the official census date (1 June 1850) and the date the family was enumerated (5 December 1850), just as the census instructions required. Jeremaih and Frances Allethia (Pickrell) McKnew are my wife's second great-grandparents, through their son Elijah Pickrell McKnew (1836-1912), who married Jane Whittle (1847-1821) in 1865.